COLUMBUS, Ohio — Ohio is prohibiting doctors from performing abortions based on a diagnosis of Down syndrome, joining other states with similarly strict legislation. It makes performing an abortion in such cases a fourth-degree felony and requires the state medical board to revoke the physician's license if convicted. Pregnant women involved in such procedures won't be penalized. 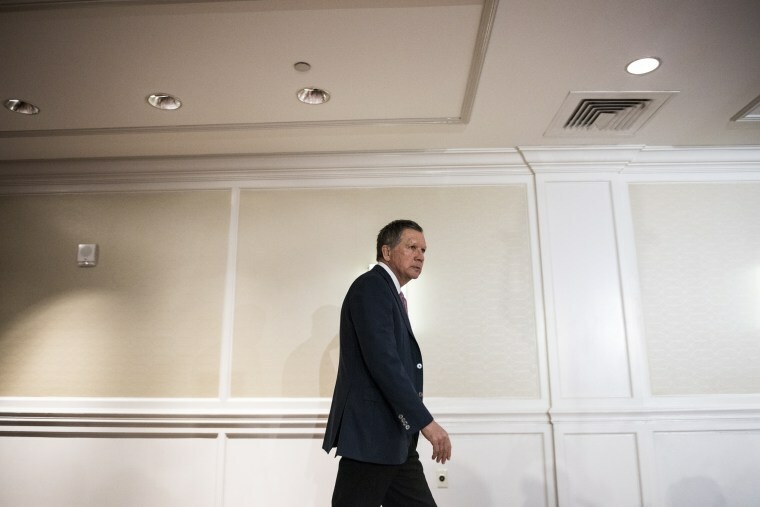 Kasich's action was a victory for the anti-abortion group Ohio Right to Life, which argued it will prevent discrimination based on misinformation. "Now that the Down Syndrome Non-Discrimination Act is law, unborn babies prenatally diagnosed with Down syndrome are given a shot at life" the group's president, Mike Gonidakis, said in a statement Friday. Abortion rights groups argued the law would be another blow to women's constitutional right to legal abortion. The executive director of NARAL Pro-Choice Ohio, Kellie Copeland, said the law does nothing to support families taking care of loved ones with Down syndrome but instead "exploits them as part of a larger anti-choice strategy to systematically make all abortion care illegal." "This law shames women and will have a chilling effect on the conversations between doctors and patients because of the criminal penalties that doctors will face," Copeland said. A statement from the American Civil Liberties Union of Ohio on Friday said Kasich signed a "blatantly unconstitutional bill." The civil rights group said it is coordinating with its legal staff and coalition partners to determine the next steps. North Dakota and Indiana were ahead of Ohio in passing similar restrictions. The Indiana law has been blocked by a federal judge, who said the state has no right to limit women's reasons for terminating pregnancies. The Indiana measure was enacted in 2016. North Dakota's went into effect in 2013 and has not been challenged. That state's sole abortion clinic, in Fargo, says the issue hasn't arisen under its policy of not performing abortions after 16 weeks into a pregnancy.